SnapCacklePop: SnapCacklePop Interview - Olly Murs..! 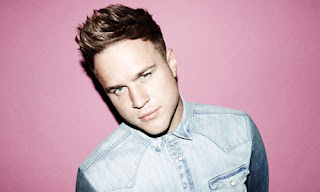 SnapCacklePop Interview - Olly Murs..! Being a fellow Essex boy, we love catching up with Olly Murs. We caught up with the Troublemaker singer whilst on a promotional tour of the US where he talks his chart success, his new video for Army of Two, touring with One Direction and then later in the year with Robbie Williams, plus loads more. Get ready, get set, it's the delishishly charming Olly Murs...! Yeah thank you. I’m excited about being nominated for Best Male and Best Single, its incredible for me, I’m excited about it and fingers cross on the night. Though it’s a long way away being the 20th Feb, it will be a great night of music and honour to be nominated, however let’s see what happens on the night. Are you going to prepare a speech just in case? I suppose, but just some guidelines, though I don’t want to think too much about it. Chances are I might not win, though chance are I’m the underdog. Well we love an underdog story and we wish you ever luck. So you are currently in the US, how is the attack going on the charts? Yeah it’s going really well, the reaction to Troublemaker has been great, building every minute, its really picking up here. The song is being played a lot more these last few weeks. It’s great that people are loving the song. Yeah its exciting, it really is, especially after doing so well in the UK. It would be great to do well here in the US and of course Australia. You’ve been on tour with One Direction haven’t you recently? Yeah it was late last year and great to tour with the guys and a right laugh. It was good fun. And you are on tour now in the US? Well we have done 3 great shows over the last couple of weeks, which was great. My own headline show and we brought the whole band over here, which was great. However would love to come back over here and tour, but all depends on how America like the tracks. But yeah of course would love to a full tour here and then head to Australia to see my fans there. And you are pending your album release in the US shortly? Yeah its really exciting to get the album out here and I hope it does well and the fans really like it. I’ve got a great fan base here, who are finding out more about me and enjoying the music. So after touring with One Direction who were five solo singers brought into a band and being a solo artist yourself, how would you have done in that situation? Would you have felt ok joining a group? If I was in the same situations as the boys, I would of done the same thing. When you are on the X-Factor, you are determined to win and being offered the chance to be in One Direction would have been great. When I was on the show it was different then, however now I’ve had success as a solo artist, I feel this is right. Though I think at the time, if I would have been offered the same opportunity I would of taken it with both hands. Talking of being on tour with the 1D boys, their fans are quite “excitable” shall we say. It’s quite a hysteria they cause everywhere they go. Was that quite overwhelming for you as well? They have great fans man, they really do. And they got me and my music and they love One Direction and the boys really do love them. It was great time for me and a great tour. So you actually have a European and UK tour coming up haven’t you? Yeah when I get back I have my tour and then I have my stadium tour with Robbie Williams. I have loads of stuff coming up and its great. It’s what I want to do, go out on tour and see the fans. I just can’t wait t get back on the road. What do you love and hate about touring? Seeing the fans most important is great and them singing the songs back to you. But worse thing is being away from family & friends. How long you on the road for? I’m on the road for 2 months, the back writing for a bit and then kick off the Robbie tour. So what you writing at the minute? I’m always writing man, however won’t be until next year I release a new record as so loving the new record (Right Place Right Time) right now and the focus is on that. So you have a new single coming out, Army of Two, tell us about that? Yeah it has just hit the radio in the UK and when I get back will promoting the new single. I'm excited about the video and fans seeing it. It’s about the fans, one for them, its an army of two, between me and them and we’ve only just begun. It’s a cool vibe song, that I am very proud of and I think the fans will love it. What can we expect from the video? I can’t give away too much about it, though it’s a a video I have never done before, its exciting, It’s a little bit futuristic, bit crazy and a bit cool, I can’t wait for everyone to see it. It will be out soon, I’m excited about it. Well we are too Mr Murs. And you have mutured as an artist since first leaving X-Factor, would you agree? I feel as an artist, you need to challenge yourself and change, I’m still love it and always trying to make the best tracks I can which the fans are still loving it. Talking of your fans, how are they? My fans are so passionate man, but really chilled cool group of fans and get along with me. So when can we expect you back in Australia? Am hoping around June/July time, that would be great, even though it is winter it’s still warmer than the UK. So what else is planned for 2013? Well its just jammed packed with the tour and the new single, I’m really looking forward to it. And finally, any plans to record with Miss Piggy after performing with her last year? Look, performing with Miss Piggy was great, the whole cast was great, they were funny and it was a surreal moment for me, one I will never forget. So here are our top 5 questions this week? I didn’t have one, it was just Olly. Which song do you love to hate? Who would you love to go out on a date with? Nice choice. What’s your reality TV weakness? I’d love to do one with Robbie Williams, that would be really cool. Well good luck with your new single and your tour Olly and look forward to seeing you in Oz soon. Olly Murs new album Right Place, Right Time is available on iTunes now..!